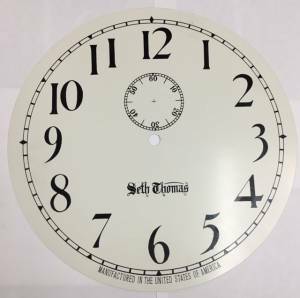 12-3/8" outside diameter silkscreened steel dial has black Arabic numerals on an off white background. The center of the second bit track is 1-11/16" from the center of the dial. 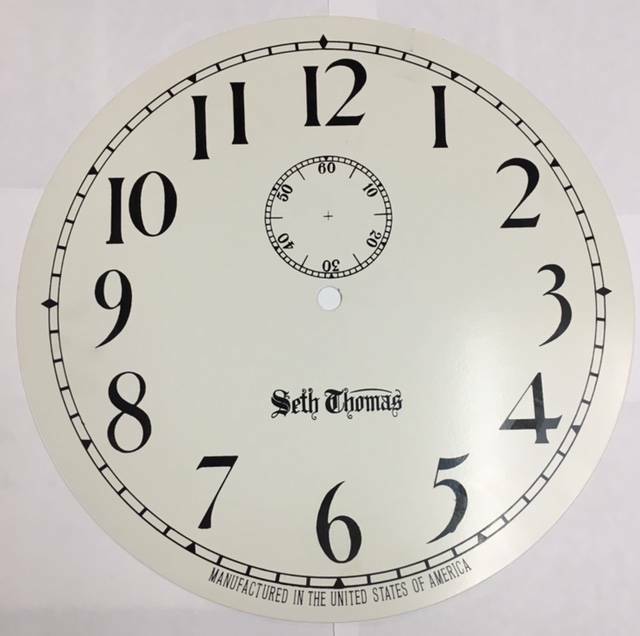 Used on #2 Regulators and school clocks. 11-1/8" time track.